Pictured, MVCTC February Health and Consumer Science Students of the Month Sydney Flory (Cosmetology student from Twin Valley South) and Ann Frazier (Health Careers student from Valley View). ENGLEWOOD — The Miami Valley Career Technology Health and Consumer Science department is proud to recognize students of the month for February: Ann Frazier (Valley View) is a senior student in the Health Careers Program. Sydney Flory (Twin Valley South) is a junior student in the Cosmetology Program. Frazier is a senior student in the Health Careers Program. She exemplifies professionalism and positive work ethics in all that she does. She demonstrates a consistent positive attitude and high integrity. She has an excellent attendance record with only a ½ day absent total. She was inducted into NTHS and maintained a 4.0 GPA. She serves in a leadership role as a student ambassador for the MVCTC. She works well both independently and with others. She is always willing to go the extra mile to help others. MVCTC would like to thank Marion’s Pizza for their support and sponsorship of the Health and Consumer Sciences student of the month program. 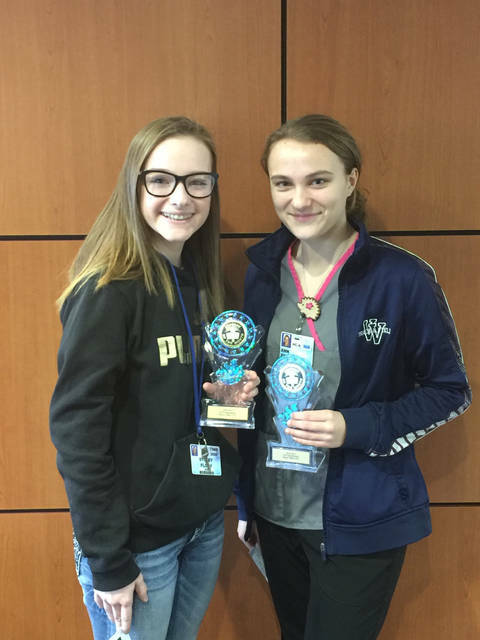 https://www.registerherald.com/wp-content/uploads/sites/41/2019/03/web1_HCS-Feb-2019-1-.jpgPictured, MVCTC February Health and Consumer Science Students of the Month Sydney Flory (Cosmetology student from Twin Valley South) and Ann Frazier (Health Careers student from Valley View).